Your time will be divided among the activities and each day will vary. For example, ray, sea grass, and reef monitoring take place in the morning from approximately 8:00AM-12:00PM. 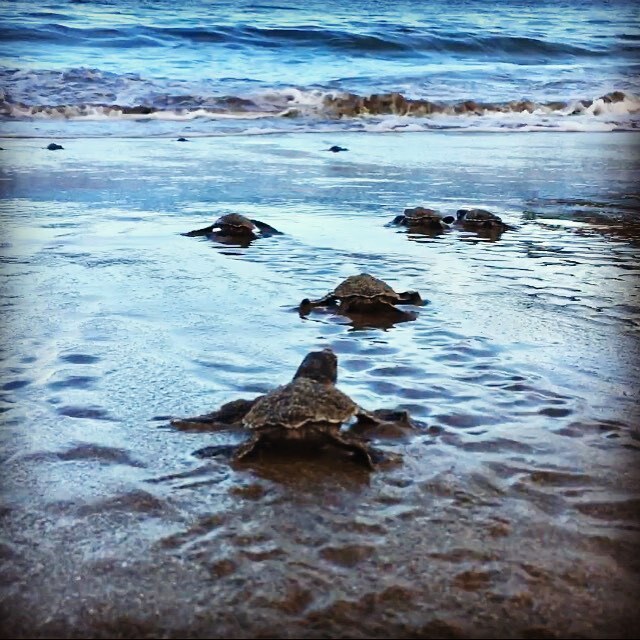 Sea turtle monitoring will take place at night, from about 9:30PM-2:00AM. Your exact schedule will depend on the weather conditions, and the specific needs of the day. 1) In addition to working with the local community (and the local turtles), you will also have the option to assist at the local elementary school in their marine education program as well as in English classes. 2) Rolling hills covered with deciduous forests that stretch as far as the eye can see. El Jobo’s stunning coastline is only rivaled by its lush, verdant woods. 3) Gallo Pinto, a popular Costa Rican dish that involves fresh, local vegetables, sun-dried black beans, and sometimes a fried egg or two — it’s perfect after a long, action-packed day of snorkeling. Interested in volunteering in Costa Rica? Follow these 2 easy steps.